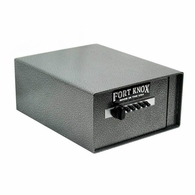 Fort Knox Handgun Safes | On Sale 20% Off! 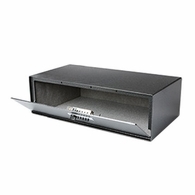 "Fort Knox Handgun safes are quality products that are built here in the United States. They are the strongest box around and they use a mechanical lock versus an electronic one. 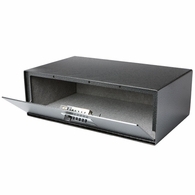 No batteries to change, just a simple push of buttons opens these safes. 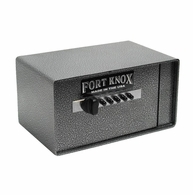 The original Fort Knox Pistol Box is a top opening safe that has a Simplex© mechanical lock. 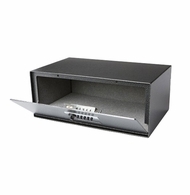 It opens quickly when you use the push buttons and a gas cylinder shock helps you open the safe." 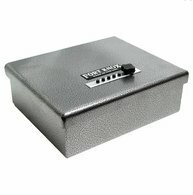 The new Fort Knox Personal handgun box, opens from the front and you reach into the box to retrieve your valuables or weapon. It also uses a Simplex© lock with push buttons to open the lock with your own combination.